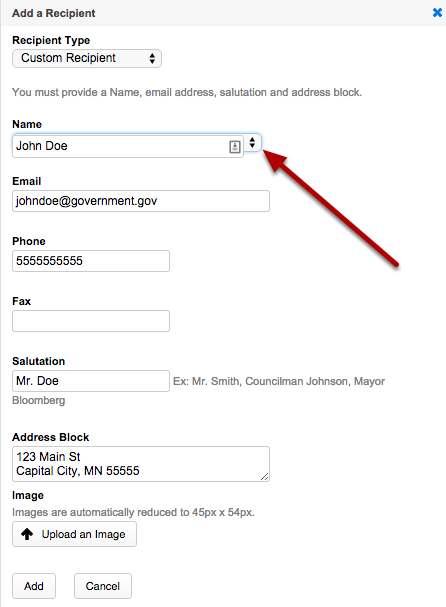 Adding custom recipients to Advocacy actions is a simple process that can be accomplished in a few easy steps. You can choose recipients based on automatucally generated lists such as Committees, Bill Sponsors and Vote Results. Once an individual has been added to your system, they can be selected again for future Action using the drop-down list.